To tell the truth, I was going through some other mid-life bumps, changing jobs and a lot more. I needed an aural detoxification program. Who does one turn to? Johann Sebastian Bach (1665-1750), of course. I spent over a year listening almost solely to ‘Art of the Fugue‘, ‘Musical Offering’, the Cello Suites, the Sonatas and Partitas for Violin, and the solo ‘piano’ repertoire: the English Suites, the French Suites, the Partitas, the Toccatas, the 2-Part Inventions and 3-Part Sinfonias, the Goldberg Variations, a great CD of atypical flashy virtuoso pieces called “Brendel Plays Bach”, and of course, ‘The Well-Tempered Clavier’. In Bach’s time, keyboard instruments (harpsichords and klavichords) were tuned to a specific scale (key)–C, F#, whatever. Theorists had come up with a scheme in which the keyboard would be tuned in equal intervals, a compromise solution which enabled playing in any key on a single instrument. Bach tried out such instruments, and composed two works to demonstrate their chops, “Das Wohltemperierte Klavier” Volumes I (1722) and II (1744). Each one consisted of a cycle of 24 pieces, each one with a prelude and fugue, written in ascending order, major/minor. Together, they’re known as “The 48” (2×24). In other words, each one is constructed thus: C major prelude and fugue, C minor prelude and fugue; C# major prelude and fugue, C# minor prelude and fugue, etc. Sounds pretty dry, I admit, but artists have been employing artificial conventions as vessels for their inspiration since time immemorial (“Writing free verse is like playing tennis without a net”–Robert Frost), and Bach is Bach, and The 48 is one of the greatest works of art made by man. So back in the late 1990s I listened to The 48 several trillion times, and was duly moved and transported and spiritually consoled. I used to view Bach as imposing arbitrary order on a chaotic world, eliciting sense out of disorder. I still do, actually. And then one day I happened upon an homage to The 48 written in the early 1950s by Dmitri Shostakovich (1906-1975). 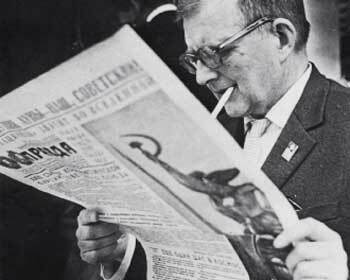 Shostakovich was a thoroughly modernist composer who maintained a rocky relationship with the oppressive Soviet regime under which he lived. He was Russia’s most prominent composer, too well-known and respected to be sent to the Gulag or to be disappeared, although a friend testified in 1948 that “he waited for his arrest at night out on the landing by the lift, so that at least his family wouldn’t be disturbed.” He was twice denounced for anti-Socialist ‘formalism’ (in 1936 and 1948). He sometimes wrote personal pieces he knew could not be performed, sought professional refuge in teaching or writing for films or politically proper venues. For example, in 1939, Leningrad Party Secretary Andrei Zhdanov commissioned from him a “Suite on Finnish Themes” to be performed by the marching bands of the Red Army as they entered the conquered Helsinki. 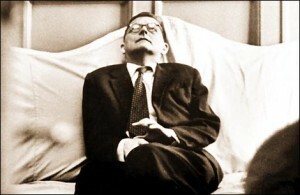 Shostakovich never claimed the composition as his own. This same Zhdanov, who decided during the siege of Leningrad to give food to the defending army rather than to the starving populace, became Minister of Culture, Stalin’s right-hand man, and masterminded the post-war cultural purge. In 1950 he rehabilitated Shostakovich in order to humiliate him by sending him abroad as official representative of the Soviet Union. The event was a festival in Leipzig marking the bicentennial of Bach’s death, where Dmitri was a judge for the first International Bach competition. One of the competitors was a 26-year old pianist Shostakovich had met in Moscow, Tatiana Nikolayeva. 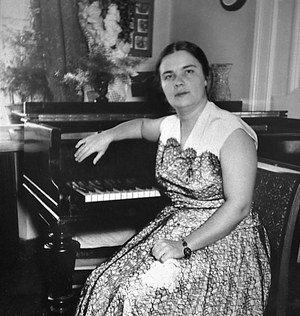 She performed pieces from the Well-Tempered Clavier (which Shostakovich had played as a young piano student, although they had nothing of the stature they were to gain from the 1950s onwards) and won the gold medal. Shostakovich worked quickly, averaging only three days for each piece. As each was completed he would invite Nikolayeva to his Moscow apartment to show off his work. The complete work was written between October 10, 1950 and February 25, 1951. He dedicated it to her, and she premiered it in Leningrad December 23, 1952. On a formal level, Shostakovich’s Opus 87 (not to be confused from his ’24 Preludes’ Op. 34) has significant differences from Bach’s 48. The compositions don’t move upwards in chromatic steps, but rather in relative major/minor pairs around the circle of fifths: C major, A minor, G major, E minor, D major, B minor, and so on – the same organization as Johann Nepomuk Hummel’s set of 24 preludes (1815) and Chopin’s and Joseph Christoph Kessler’s sets (both 1839, apparently a very good year for such cycles). “In his Preludes and Fugues, Shostakovich never loses sight of the Bach model that inspired him, but still employs all the harmonic and other possibilities available to a mid-20th-century composer. Many of the pieces in the cycle possess an improvisatory, unfettered character; they are aware of tradition without being paralyzed by it. Shostakovich does not make obvious direct references to the Bach cycle. The preludes and fugues in each pair are more closely linked thematically and harmonically than is the case in Bach, and there is no pause between them in performance.” (Harlow Robinson). 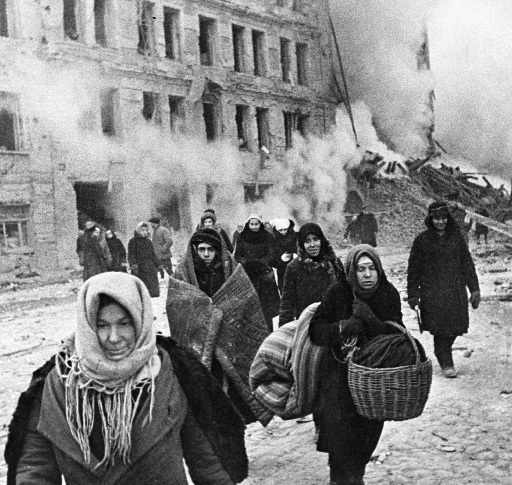 From the piece’s premiere till the 1990s–the same years I was listening to rock music–the only three recordings of real note were by Tatiana Nikolaeva, 1962 and 1987 (Melodiya) and 1991 (Hyperion). But since then the cycle has been widely recorded, perhaps two dozen versions, a very popular one by Keith Jarrett (which I feel lacks the gravitas of the Russian’s) and an audacious one by Finnish Olli Mustonen, who coupled Bach’s and Shostakovich’s pieces, interspersing them in order. It’s Ms Nikolaeva’s 1987 version that I’ve listened to all the years, and the one that remains my point of reference. Our Song of The Week, then, is Prelude & Fugue No. 16 in B-flat minor. Here’s Tatiana Nikolaeva’s 1987 version, prelude and fugue, playing along with the score. And here’s her 1992 version. And here’s Keith Jarrett’s very legitimate take on the same piece. Shostakovich’s Preludes and Fugues is not music for the light of heart, lazy of mind, or facile of spirit, and No 16 is one of the darker pieces in the cycle. But we do have the benefit of the composer, a fine pianist in his own right, offering us his own interpretation. Here’s the prelude and fugue. Here’s a video clip of Tatiana Nikolaeva playing Prelude No. 17. Like Bach, like all great artists, like all great tennis players–the formal constraints provide rules and boundaries; but it is what is expressed in them–the living, breathing, personal, unique expression–that leaves its mark. I’m still in a pretty dark place. An inconsolable place. 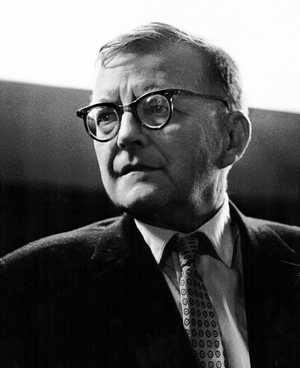 Shostakovich’s Preludes and Fugues provide no facile answers. But they do formulate the questions in a way that makes my heart understand that it’s not alone in this universe in visiting the darker side of the human experience. Very soothing. A musical balm. thank you indeed for highlighting this beautiful music. It acknowledges our dark places and at the same time, consoles and heals us.